So many events; one Gift Card satisfies them all. Whether you're celebrating someone's birthday, wedding, anniversary, graduation or you just want to say thanks, it's easy to send Gift Cards through our automated online system. You can choose to have a physical Gift Card mailed or have one emailed with the design and message of your choice. 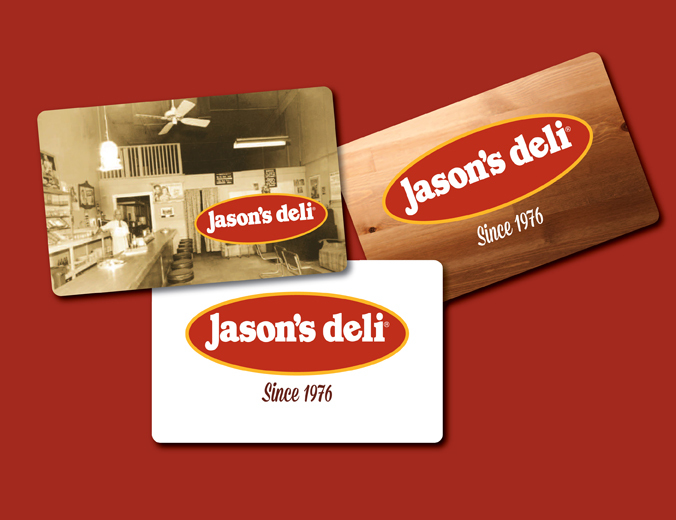 If you already have a Jason's Deli Gift Card, you can check your account balance online.